leah fay goldstein: For my Brother and his lovely wife. For my Brother and his lovely wife. I made this for my brother's wedding. 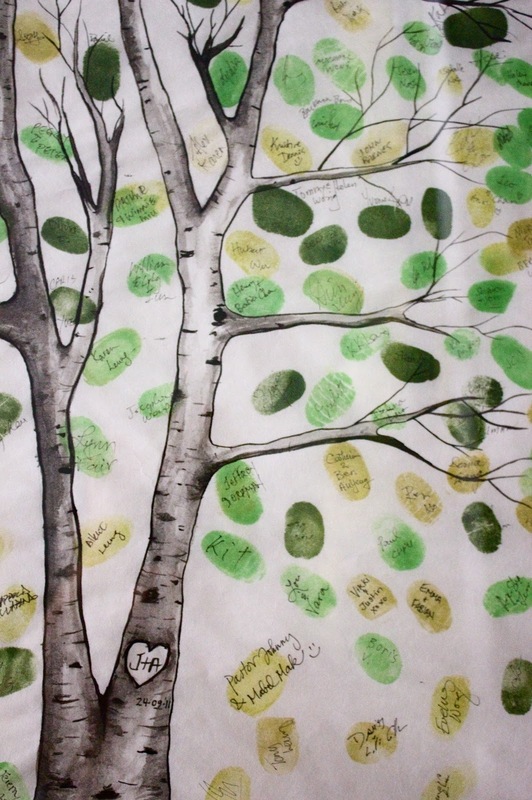 Instead of a guestbook, our loved ones were asked to cover this tree with their thumbprints. I was excited when my brother's lady told me she wanted one on their wedding day as I love the idea, but saddened to learn that most of the ones you can order online are pretty lame. 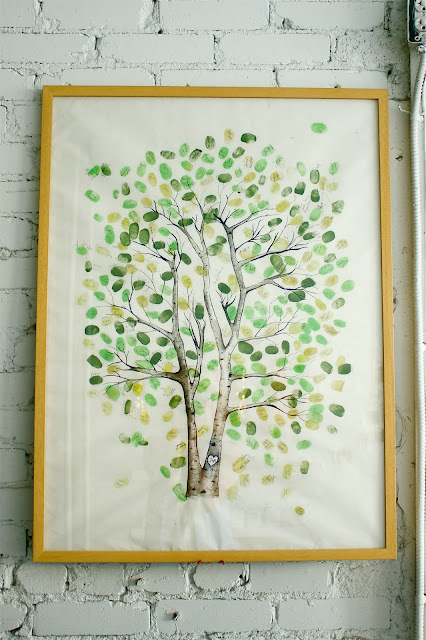 finally I had it framed at SOHO on Roncesvalles by (my BFF) Jenna Rose. P.S. Want one? Holler at me ici. Beautiful idea! I love it! Have fun at the Dom. I will email tomorrow for my headpiece. You rocked it tonight! Congrats!